ANAHEIM, SAN DIEGO, SAN FRANCISCO and SANTA BARBARA, CALIF. – April 12, 2017 – In California Summer starts in April. Travelers from around the globe will enjoy the ultimate Golden State adventure with Hilton’s “California Road Trip,” a destination package that inspires thrill-seekers and value-minded explorers. Discover an array of adventures and authentic experiences with rates starting at $149 per night. The package will highlight premier destination cities such as San Francisco, Santa Barbara, Anaheim and San Diego with special rates available through Labor Day Weekend 2017. 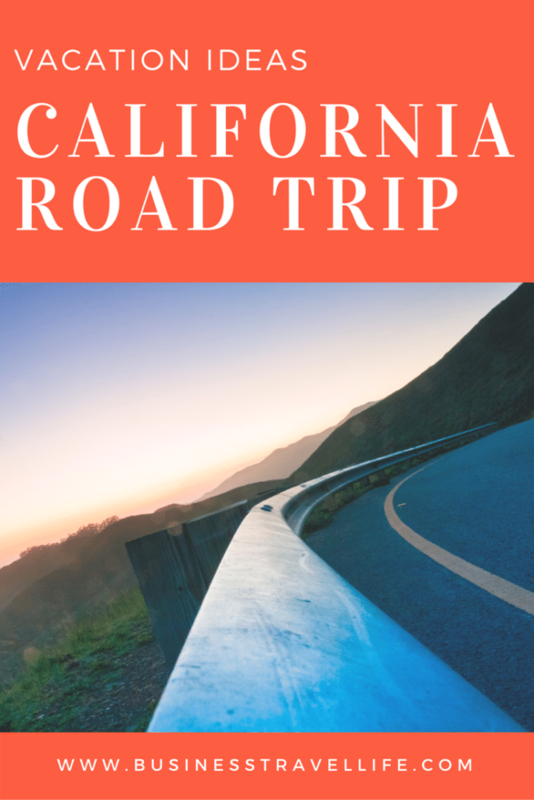 To book, visit California Road Trip Package and take a Virtual California Road Trip on our YouTube channel. “With some of the best Hilton properties on the map, “California Road Trip” is the ultimate vacation package for families and friends who want to create memorable experiences on the road with spectacular scenery, fun and adventure along the way,” said Shaun Robinson, general manager. Located in the heart of San Francisco’s bustling Union Square, Hilton San Francisco Union Square is a high-energy, world-class hotel that features stunning views and international sophistication. The hotel is steps from world-class shopping and under-the-radar locales rich with the history of theatre and jazz. Additionally, the hotel is convenient to the Powell Street cable car line, Moscone Convention Center, Chinatown, the Financial District, City Hall and the Civic Center. Featuring 1,919 guest rooms and 151 suites with city views, the hotel is home to a contemporary fitness center, one of the city’s only outdoor heated swimming pools and an array of food and beverage outlets with artisanal flare and modern atmospheres. Dining options include the grab-and-go marketplace, Herb N’ Kitchen, The Lobby Bar with signature handcrafted cocktails, gastropub Urban Tavern with international offerings and the 46th floor Cityscape Lounge with 360-degree panoramic views of the Bay Area and San Francisco’s most popular landmarks. As the West Coast’s largest hotel, the property boasts 134,500-square-feet of meeting and event space, including a 30,000-square-foot Grand Ballroom, for scalable meetings from startups to Fortune 500 companies. For more information, please visit www.hiltonsanfranciscohotel.com. PARC 55 SAN FRANCISCO – A HILTON HOTEL Located in the heart of San Francisco’s bustling Union Square, Hilton Parc 55 San Francisco is a boutique-style business-class hotel that features stunning views and universal sophistication. The hotel is steps from world-class shopping and under-the-radar locales rich with the history of theatre and jazz. Additionally, the hotel is convenient to the Powell Street cable car line, Moscone Convention Center, Chinatown, the Financial District, City Hall and the Civic Center. Featuring 1,024 guest rooms and 54 suites, with city views, the hotel is home to a contemporary fitness center, an array of food and beverage outlets and shared campus resources with neighboring Hilton San Francisco Union Square. Dining options include Cable 55, Michelin-rated Kin Khao Thai restaurant and Barbary Coast. As the third largest hotel in San Francisco, the property boasts 30,000-square-feet of meeting and event space. For more information, please visit www.parc55hotel.com. THE FESS PARKER—A DOUBLETREE BY HILTON RESORT The Fess Parker – A Doubletree by Hilton Resort in Santa Barbara, an AAA Four Diamond property, is located at 633 East Cabrillo Boulevard, steps from the beach and within ½ mile of downtown in one of the world’s most perfect climates. The 360 room guest rooms, with their own balcony or patio, overlook the Santa Ynez mountains, 24 acres of beautifully landscaped gardens or the Pacific Ocean. Over 44,000 square feet of indoor and outdoor meeting space, including the Parker Family Wine Experience and unique outdoor Plaza del Sol make this a quintessential California destination for weddings and events.